This is cute little planter you can use for your real plants, fake plants, or even fill with candy to hand out. 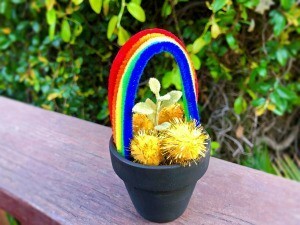 It's super easy to make and so cheerful for St. Patrick's Day! 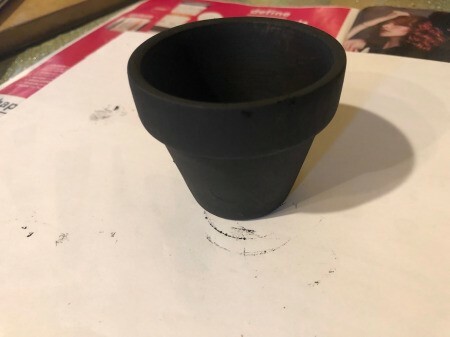 Paint the pot black and allow to dry. 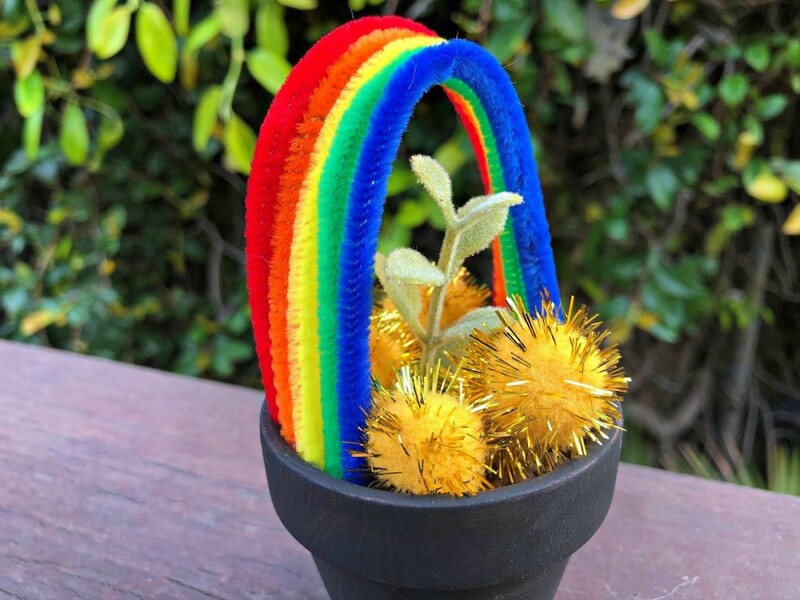 Decide how big of a rainbow you want by inserting a bent pipe cleaner into the pot. 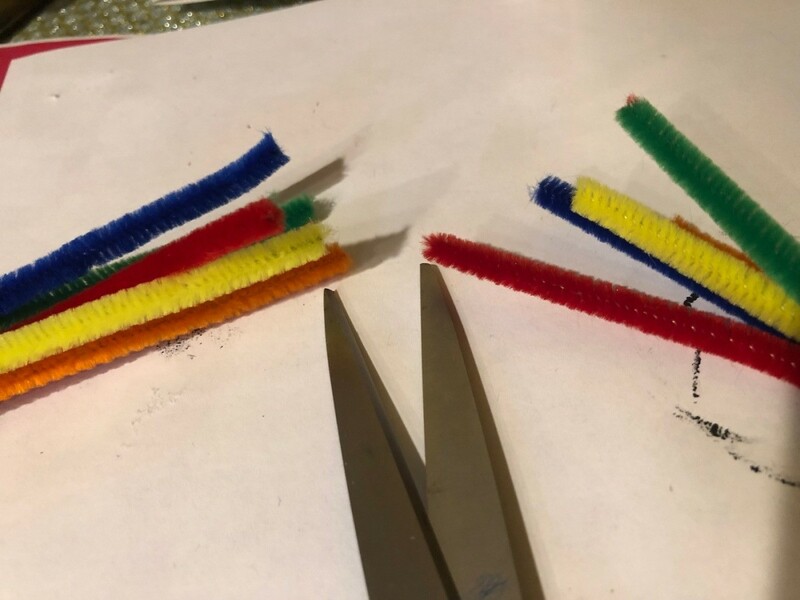 Cut them at desired length. 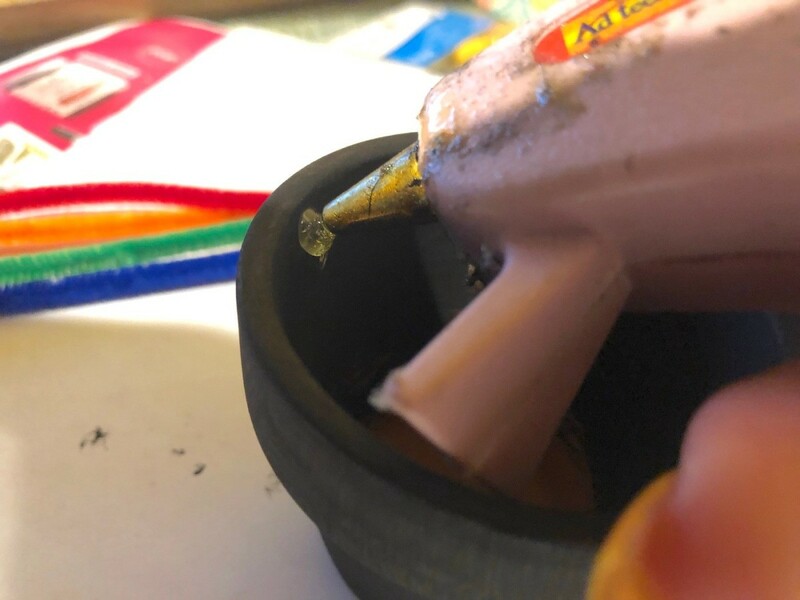 When the pot is dry, add a blob of hot glue to the inside lip. 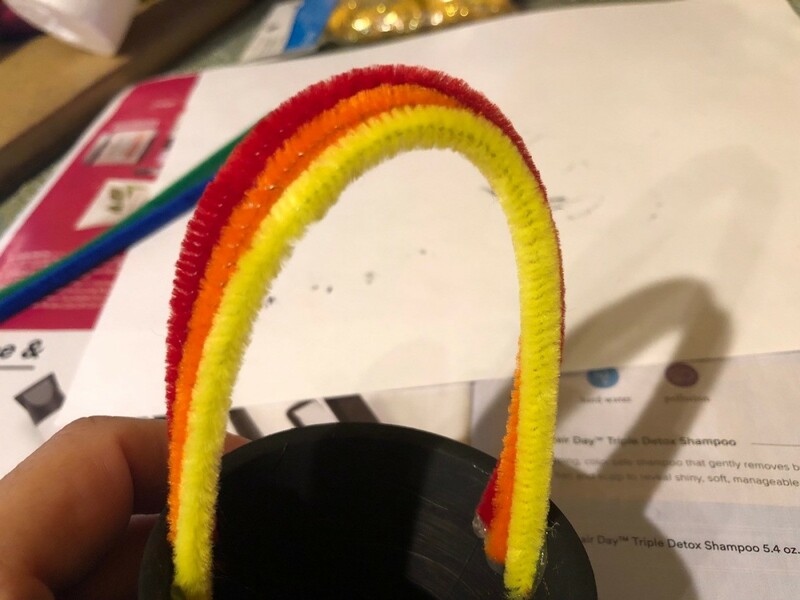 Affix the end of the pipe cleaners to the glue in rainbow order, gluing the other ends to the other side of the inside of the pot. 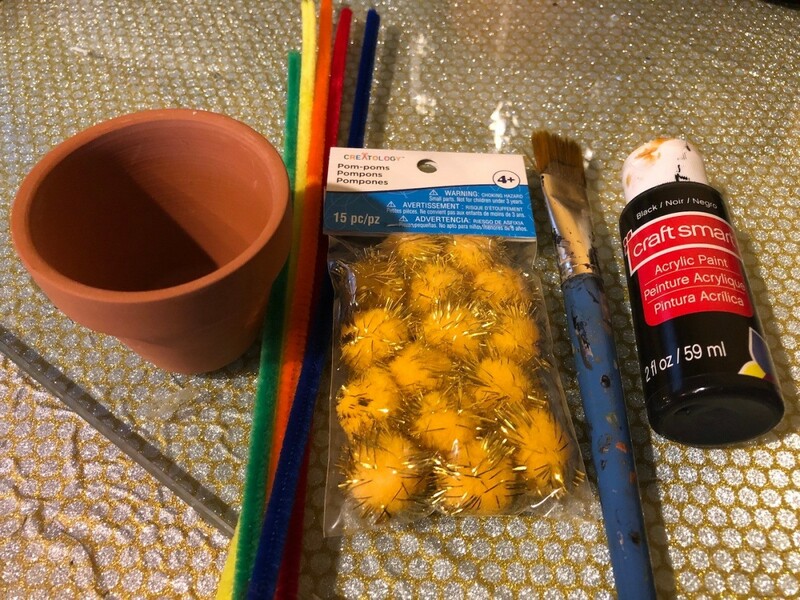 Fill with whatever you desire, then add the gold pom-poms on top. 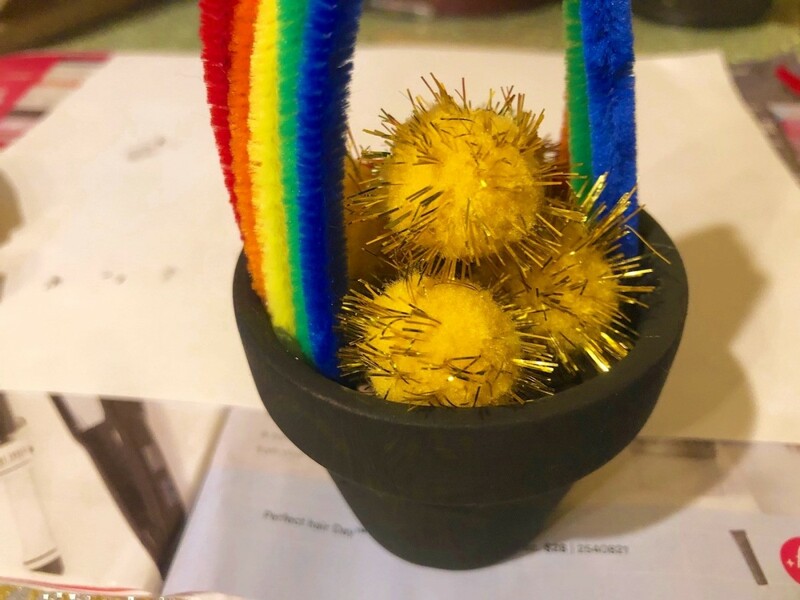 I'm giving mine away so I filled it with candy, then pushed in an artificial green plant so it looks like it's sprouting. So cute!